When in the building and construction field, it is absolutely necessary to keep up to date the status of the construction. Deadlines need to be met and the possession of the flats etc. needs to be given on time to the purchases. 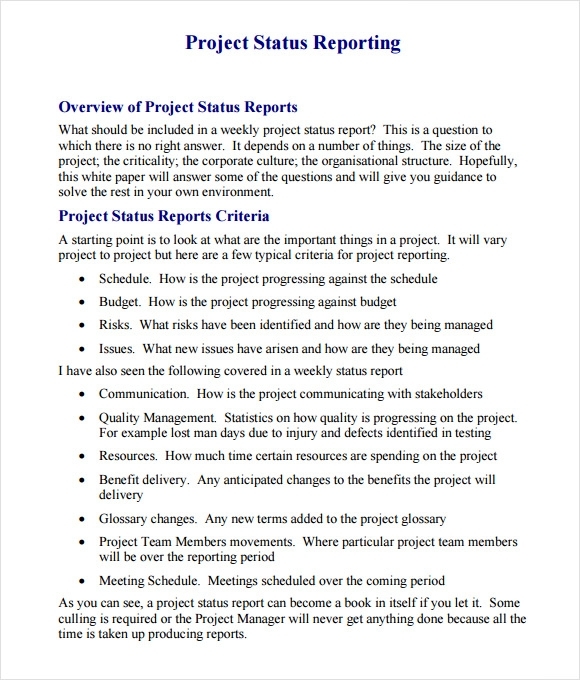 In order to simplify this process we have created a variety of free project status report templates.These example of status report templates come in a large variety of formats. 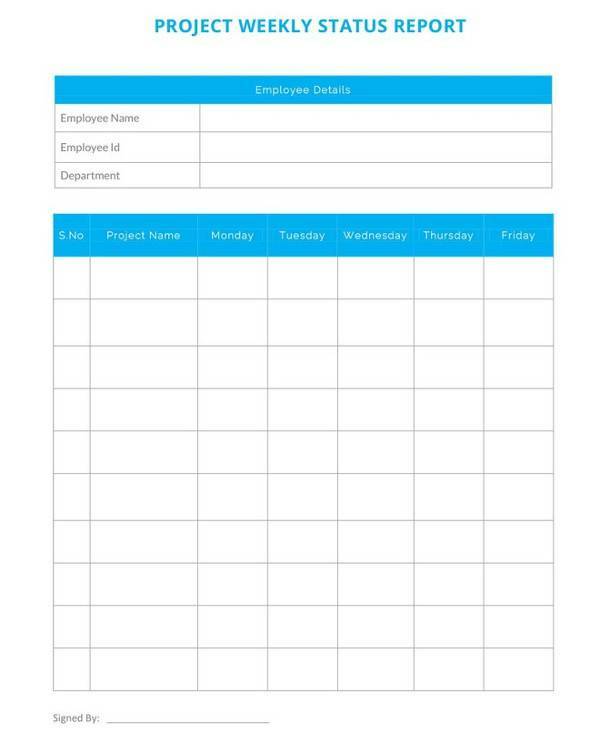 Just select and download the sample of your choice, fill it in, print it out and keep it handy for reference and to ensure your project is being completed smoothly and on time. 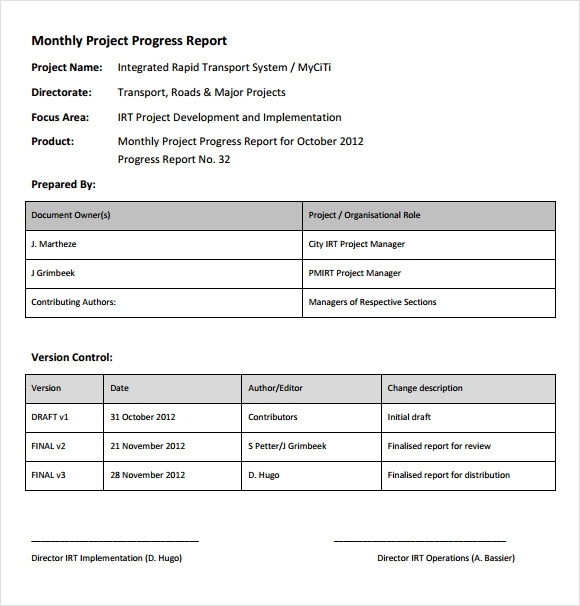 What are the Project Status Report Templates? Large construction projects are very challenging tasks. 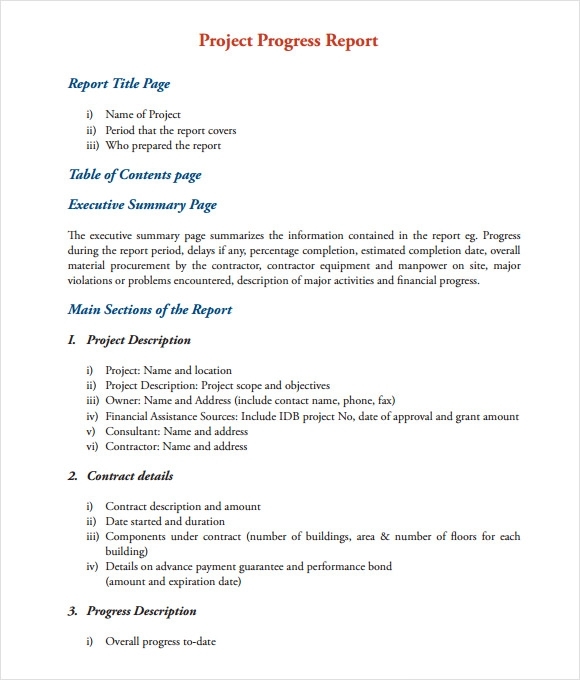 In such project status report templates a large number of jobs need to be done and also the manager has to keep a track of a number of things and aspects. In such a situation the manager must have a certain format that can be helpful in keeping a steady account of the things that have been done and the things that needs to be done in the future. 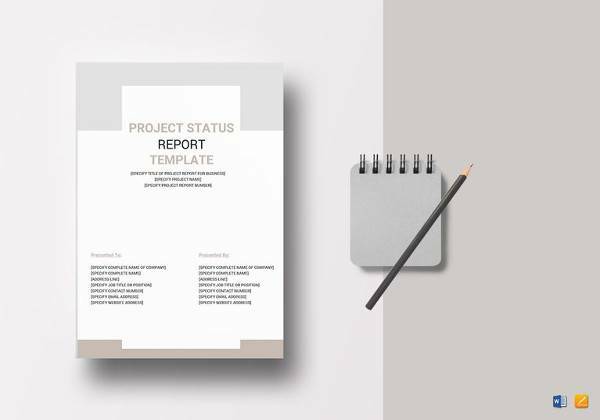 This project status report template is a format that can be perfect to serve a detailed condition of any type of project. 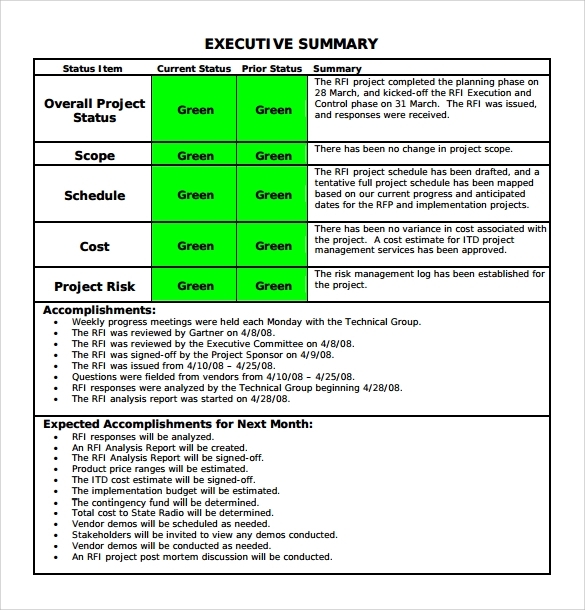 The construction companies can find this template to be of great use.You may also see sample status reports. 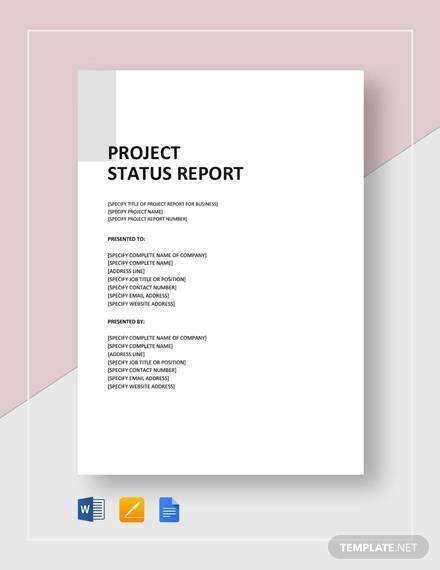 This is a neat and clean report type that can see to the fact that all the relevant details pertaining to the project is served for the benefit of the parties who are engaged with the project.You may also see project completion reports. 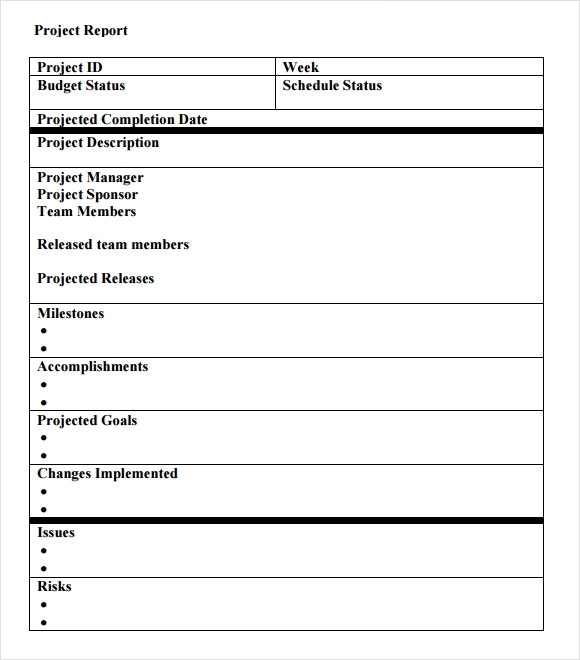 This template layout is perfect to give a detailed description of the status of the project. 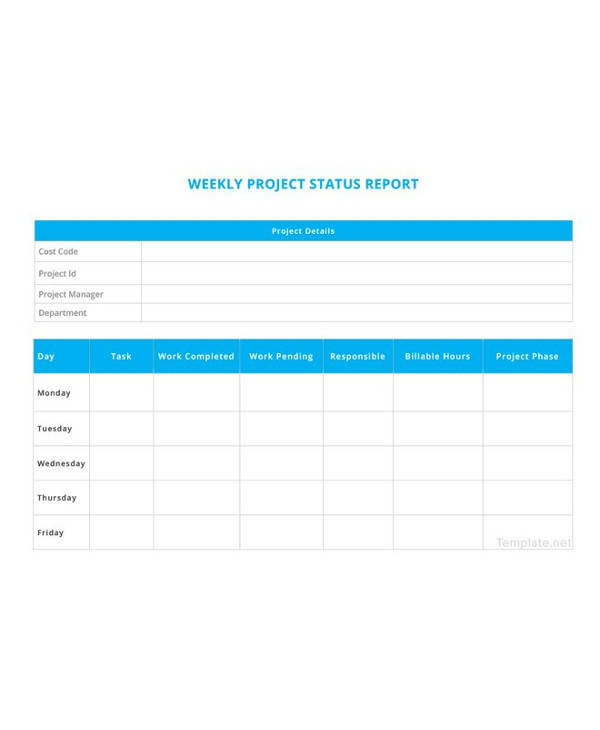 The template can support information and can exhibit the same in the form of general text and also in the form of bullet points.You may also see weekly status reports. 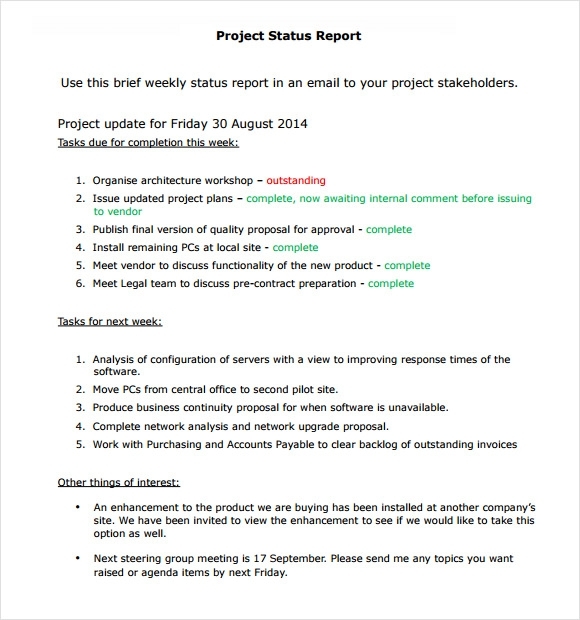 Who Can Use the Project Status Report Templates? 1. The users shall get a very definite and well planned structure that can help them to execute their projects in a more systematic manner. The makers of the templates have given ample attention to the fact that such large scale projects often involve a number of factors and resources. 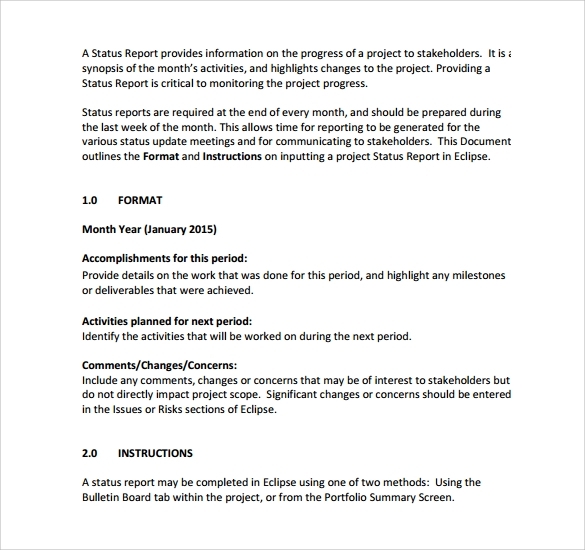 Keeping that in mind the templates have been given their structures.You may also see project management reports. 2. 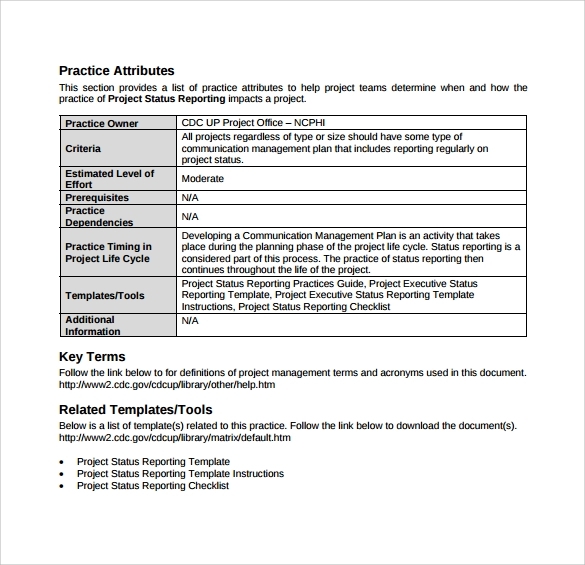 The templates shall be highly useful for those managers who are new in the field. They can get a good idea of how to go about managing such projects. 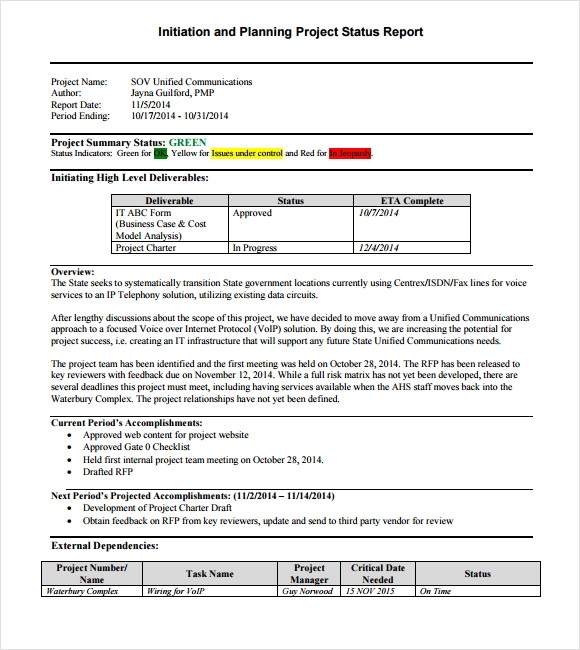 In such a case we see that the managers can also get an idea of how to make such documents.You may also see project proposal reports. 3. 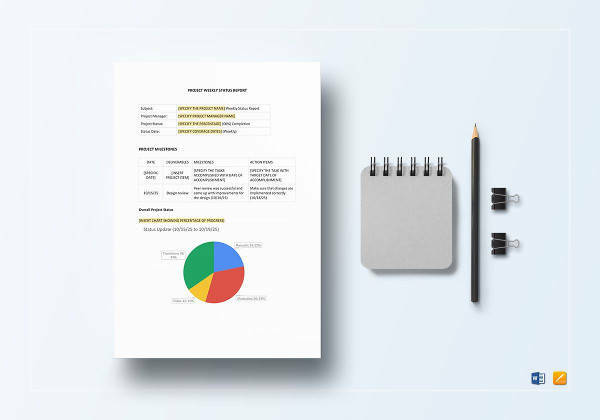 The use of these templates and the documents that are made out of these templates can create a great impression on the clients who shall be much impressed by the systematic structure of the working pattern of the managers.You may also see manufacturing project reports. 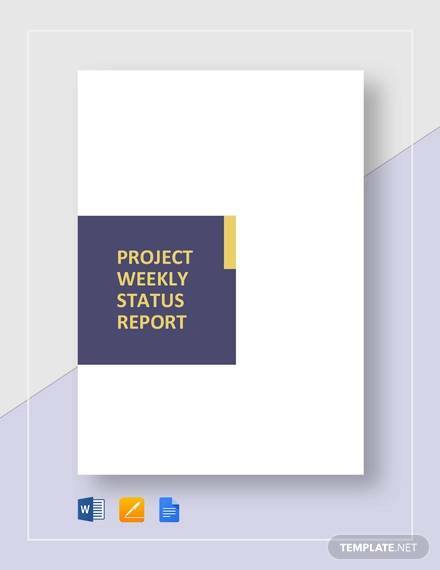 The project status report templates have been made by designers who has a good understanding of the kind of status tracking that is required in such construction and other forms of large scale projects.You may also see job progress reports.